Intecession for the nation Nigeria. 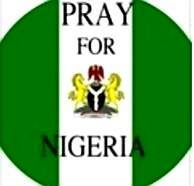 We are praying for God's intervention for Nigeria. We ask that the Spirit of God should reign in peace & stability before, during & after the coming elections. God should appoint leaders after His own heart. No more bloodshed & corruption in Nigeria. We break the hold of darkness over the nation. Jesus reign in righteousness over Nigeria.